Make yourself at home in one of the 208 air-conditioned rooms featuring iPod docking stations and LCD televisions. Complimentary wireless Internet access keeps you connected, and cable programming is available for your entertainment. Bathrooms have complimentary toiletries and hair dryers. Conveniences include safes and desks, and housekeeping is provided daily. Take advantage of recreation opportunities such as a fitness center, or other amenities including complimentary wireless Internet access and concierge services. Additional amenities at this hotel include a fireplace in the lobby and a picnic area. Guests can get around on the complimentary shuttle, which operates within 5 mi. Don't miss out on recreational opportunities including an outdoor pool and a spa tub. Additional features at this hotel include complimentary wireless Internet access, gift shops/newsstands, and complimentary use of a nearby fitness facility. Make yourself at home in one of the 145 air-conditioned rooms featuring kitchens with refrigerators and stovetops. 32-inch flat-screen televisions with cable programming provide entertainment, while complimentary wireless Internet access keeps you connected. Conveniences include desks and microwaves, as well as phones with free local calls. 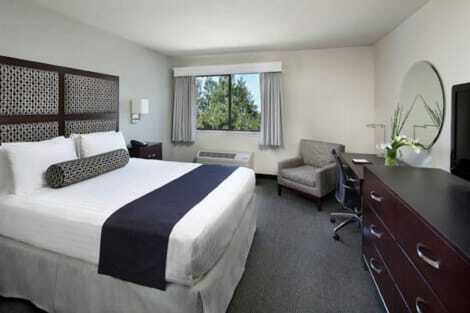 Located in Sunnyvale, Motel 6 Sunnyvale South is within a 10-minute drive of Googleplex and Levi's Stadium. This motel is 4.8 mi (7.6 km) from California's Great America and 5.4 mi (8.6 km) from Shoreline Amphitheatre. 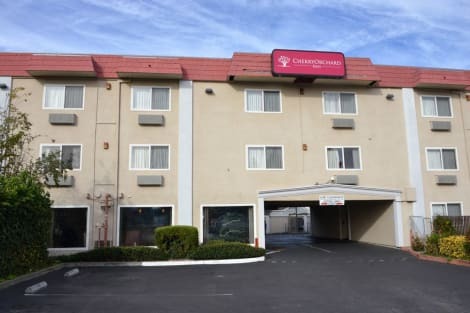 With a stay at Country Inn & Suites by Radisson, Sunnyvale, CA, you'll be centrally located in Sunnyvale, a 3-minute drive from San Francisco Bay and 8 minutes from Santa Clara Convention Center. 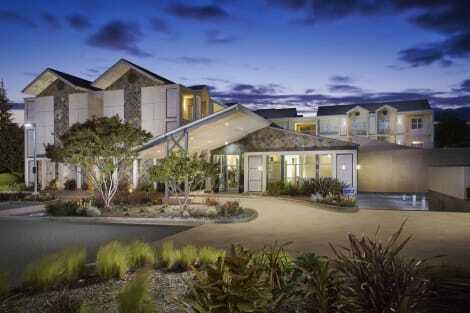 This eco-friendly hotel is 2.3 mi (3.6 km) from Levi's Stadium and 3.7 mi (6 km) from California's Great America. With a stay at Americas Best Value Inn Sunnyvale in Sunnyvale, you'll be within a 10-minute drive of San Francisco Bay and Santa Clara Convention Center. This hotel is 3 mi (4.8 km) from Levi's Stadium and 4.6 mi (7.4 km) from California's Great America. Make yourself at home in one of the 100 air-conditioned guestrooms. Complimentary wired and wireless Internet access keeps you connected, and satellite programming provides entertainment. Bathrooms have complimentary toiletries and hair dryers. Conveniences include desks and complimentary weekday newspapers, and housekeeping is provided daily. lastminute.com has a fantastic range of hotels in Sunnyvale, with everything from cheap hotels to luxurious five star accommodation available. We like to live up to our last minute name so remember you can book any one of our excellent Sunnyvale hotels up until midnight and stay the same night.